Top 5 ways for building a website? The purpose of a website is not only to display the product, which you are offering to the customers but also to portray them in an exquisite manner so that you gain an edge over your competitors. There are many different platforms through which a website can be developed, but each platform carries its own uniqueness and its proper utilization depends on the nature and size of the business. A few platforms have been mentioned below, segregated into different groups according to the nature of the objectives which they are made to fulfill, where a site can be developed for a business. The following is the list of platforms which can be used for creating a website for small businesses. This is the most dynamic website creation tool. They have the latest features on their website and they keep updating it on a regular basis. Wix has also introduced a feature of ADI (Artificial Design Intelligence) where one can make a website almost automatically. 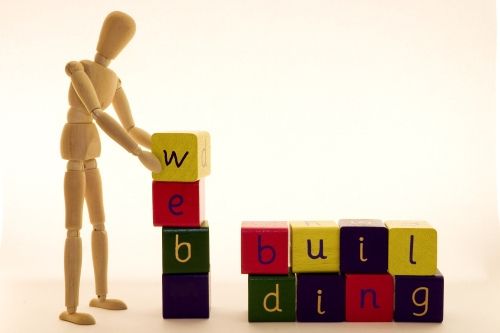 This is a very popular and easy website builder. It is a free platform which provides different plugins like Jetpack, Hummingbird, Defender, etc. It is the most famous and powerful blog, news and music building website. Numerous famous companies and celebrities are in use of WordPress. Shopify is a Canada based e-commerce platform. This platform is used by merchants to create a brand and obtain a domain name and sell their merchandise through it. In 2017, Shopify merged with Amazon which allowed the merchant to sell through its sites as well. It is a Texas-based technology company which creates e-commerce websites for businesses. It was founded in the year 2009. In the present day, BigCommerce is estimated to have made a sale of $8 billion dollars through the platform. It is an e-commerce company which was initially developed by Varien Inc. It was established in 2008. Magento acts as a content management system and a shopping cart software. It boasts of clients like Burger King, Coca-cola, Murad, etc. A logo of a company is not a mere illustration or art form it also depicts the morals, rules, objectives, and goals of the company on which it is founded. Design of impeccable quality can be obtained from freepik.com (which have CC license). They can be downloaded for free. High-quality images need to be inculcated in sliders and banners as it will help to attract the concentration of the users and also help them in a better understanding of the content. For more information, our previous article can be referred. The content of a page can either be written personally by oneself or a professional can be hired. Although it is advised to hire a freelancer, as he may bring in fresh ideas for a content. In recent past, it was perplexing to infuse a form in the website. However nowadays to imbibe ‘Contact Us’ and “Feedback’ forms in the website have become quite simple with the use of Google forms. There are some platforms which may be effective to serve the specific purpose of the user but may not provide a specific feature, that feature can be purchased by giving a meager amount. For example, WordPress does not provide features like hosting and domain names like Wix and Shopify. So this feature can be purchased by paying a low cost of $2 per month from sites like GoDaddy, HostGator, etc. At PRPWebs, we have tailor-made custom packages which are designed to meet all the above requirements of the customers. The customer only chooses the package that fulfills all his requirements and enrolls on a monthly basis. You get all your requirement catered to under one roof. To know more about our services, visit our Services page.